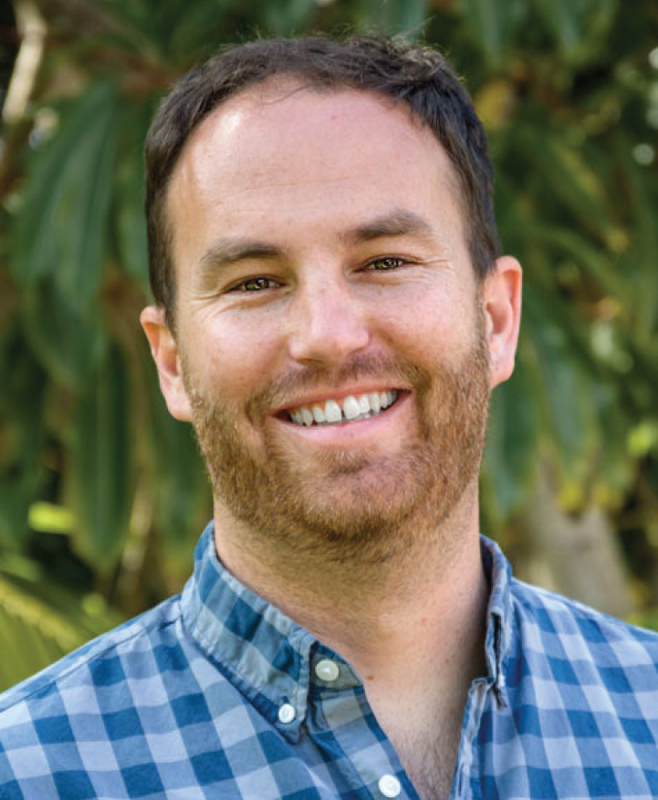 Eric Berg, landscape architect and senior associate at Pacific Coast Land Design, Inc. (PCLD) in Ventura, California, took some time to chat before his talk, “From Concept to Completion: How PCLD Leverages the Power of Vectorworks in Landscape Architecture Practice” at the 2018 Vectorworks Design Summit in Phoenix last November. Berg and PCLD Principal Mike Zielsdorf showed how the 6-person firm uses Vectorworks Landmark from early conceptual graphics to renderings and CDs. An example of a site plan done in Vectorworks Landmark software for Kellogg Park. Image courtesy of Pacific Coast Land Design, Inc.
CC: Can you think of a project you were awarded with the help of Vectorworks’ visualization capabilities? EB: We were awarded a veteran’s housing project in Ventura for which we did a preliminary design in Vectorworks, in part to test the site modeling. Showing the early design in 3D convinced the city’s planning director, who looked at the rendering and said, “This is ready to go!” There’s always give and take on how much you do in 3D early in the process, but we do it anyway. With that front-end investment, you gain efficiency on the back end, so we are competitive. 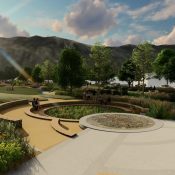 After our interview, Berg and Zielsdorf presented Kellogg Park, a 2 ½ acre public project in Ventura, for which they created a stellar 3D walk-through, importing the Vectorworks project file into Lumion. 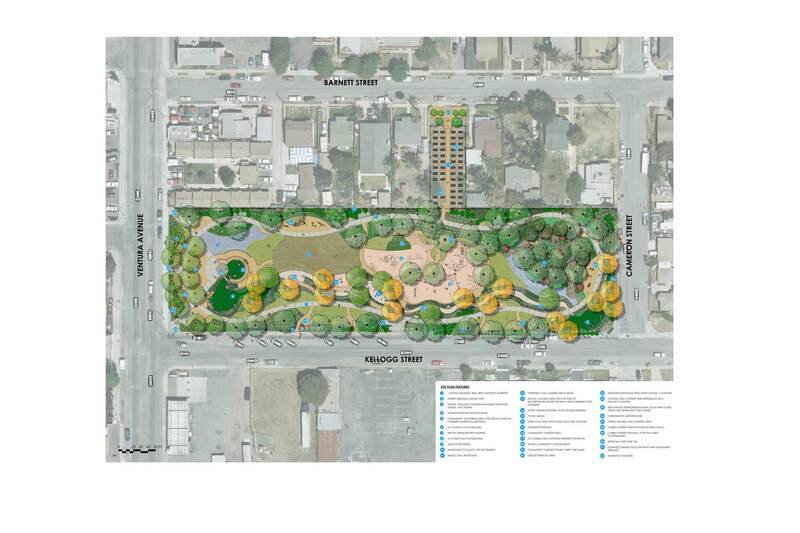 Kellogg Park won an ASLA Southern California Chapter 2018 Honor Award. This image and the cover image of this article are of Kellogg Park that were modeled in Vectorworks and rendered using Lumion. 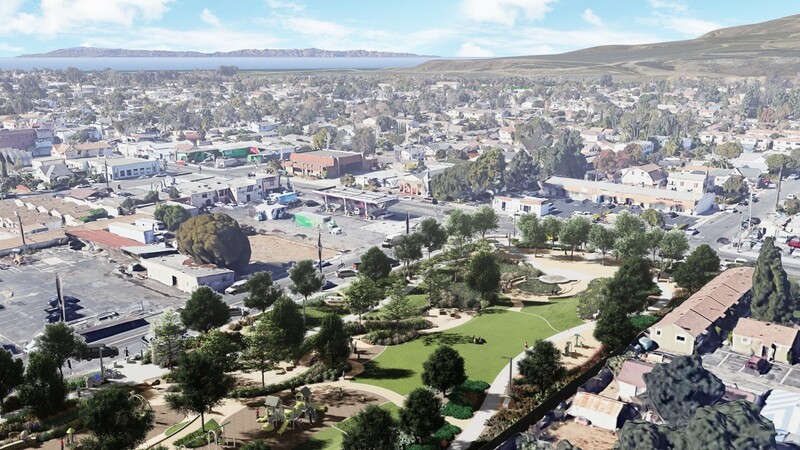 Images courtesy of Pacific Coast Land Design, Inc.
More of their renderings, including video visualizations, may be seen on their website, under Project Visualization. CC: How does your office handle the need for consistency when using Vectorworks? EB: Usually we determine office standards when we have time, because when it’s busy, you need them in place. When there’s time, you also need to be building libraries. Some ways we keep organized are by making our class names all lower case, our layers all upper case, and our reference layers all title case (e.g. “Reference Layer”). We’re really excited about the class and layer filtering feature in Vectorworks 2019. That’s huge. To work on our plant library, we’d meet weekly to bite off a topic. When we start a big project, we use a base level template file with lots of classes. We also have detail file templates, from which we reference in details as symbols. For consultants using alternative software, we check to see how our drawings will look in AutoCad before they are exported. We keep AutoCad 2004 and 2012 in the office for that purpose. Since we started using Vectorworks, we have been able to consolidate our entire list of software subscriptions, which has saved money. We hardly do any Photoshop™ or InDesign™ anymore. CC: How do you train your staff in Vectorworks? EB: That’s the hardest thing. The onboarding process can take 6 months. We have weekly lunch and learn sessions. It’s important how quickly they can get away from thinking, “this is like AutoCad.” You can tell pretty early who’s going to adapt. Vectorworks requires a different kind of thinking. You need to envision a goal first and then build the path. 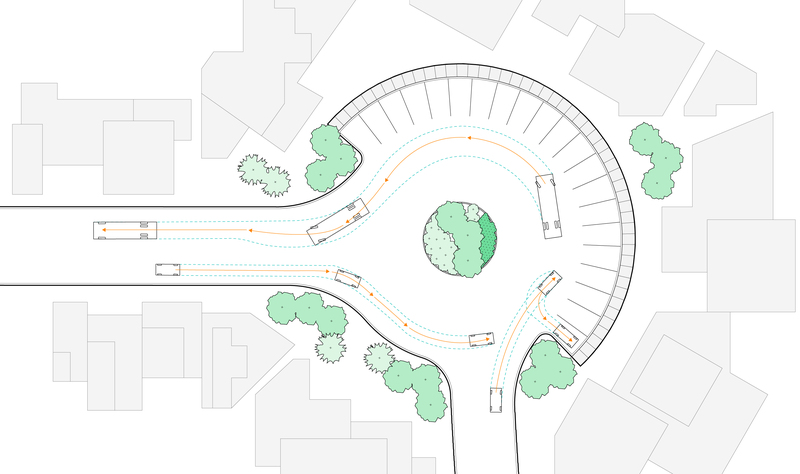 With Vectorworks there are so many ways to get from point A to point B. It’s less linear. The new Vectorworks training program announced in the CEO keynote will be great. It’ll be a nice new staff indicator for us. CC: What tech issues are you tackling now, and have you made any discoveries using Vectorworks that you’d like to share? EB: Right now, we’re working on how to incorporate 3D modeling into details. We have found that using the NURBS roadway tool is a good hack for creating ADA compliant ramps and walkways, because you can set elevations that you want for the station points. It works for swales too. Irrigation has been a challenge. I learned last week on a Community Forum that the entire irrigation system is intended by Vectorworks to be on one design layer, but we prefer to have our irrigation zones on different layers, especially on bigger projects. CC: What computers do you use at PCLD? EB: We are on desktop PCs running Windows 10, with double monitors. CC: Were you always interested in computers? How did you get started? Learning how Pacific Coast Land Design builds technical staff competencies behind the scenes while creating beautiful work was encouraging. Perhaps the firm’s relatively small size makes its commitment to implementing Vectorworks across the board logical and possible, compared to a larger firm where Vectorworks may become the responsibility of a small group of “drafters.” When you consider the firm’s built work, the fact that designs are conceived with the aid of Vectorworks rather than simply illustrating them later, is apparent. Eric Berg is right when he says that it is a different way of thinking. An overlay image of Kellogg Park that was modeled in Vectorworks and rendered using Lumion and Photoshop™. Image courtesy of Pacific Coast Land Design, Inc. 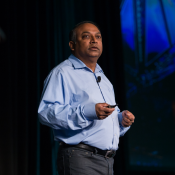 The 4th annual Vectorworks Design Summit held on November 4-6, 2018 in Arizona convened about six hundred landscape, architecture, lighting, and exhibition design professionals plus Vectorworks staff from North America, the United Kingdom, and beyond. 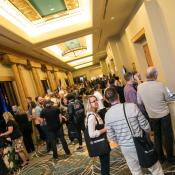 Attendees had a chance to talk shop, network, and yes, party, at the luscious Sheraton at Wild Horse Pass, situated on 50 acres south of Phoenix backing up to the Sonoran Desert National Monument. The venue, which highlights native American culture, features a designed landscape including a 2.5 mile replica of the nearby Gila River (pronounced, “heela”) which serves as the spine along which all buildings and recreational amenities are arranged. Experiencing this landscape, designed by the firm WATG was an added benefit for landscape architects in attendance. Think of the Vectorworks Design Summit as a gathering of folks who drive the same kind of high performance sports car and may speak freely without feeling self-conscious about things like improving workflows, aspects of the new plant database tool, increasing BIM capabilities. Free of the constraints that accompany most local gatherings of design professionals in the same field, at the Design Summit you can not only “let your geek flag fly,” you can openly compare strategies on how to use Vectorworks Landmark for a competitive advantage in the marketplace, a valuable and somewhat rare professional opportunity. At the Design Summit, landscape architects and designers using Vectorworks Landmark can meet architects who use Vectorworks Architect in a relaxed setting conducive to forming business collaborations. This year in Phoenix, Vectorworks staff facilitated these connections by implementing a small and successful design move –badge lanyards color coded by industry. Meeting other landscape professionals and architects at meals and during breaks was much easier and more fun with this simple visual identifier. While Vectorworks has a well-deserved reputation for beautiful graphics, the Landmark module when used to advantage is a powerful 3D modeling tool which in recent years has made its terrain modeling capabilities more powerful and intuitive. For example, in Vectorworks Landmark 2019, hardscape layers (think: permeable pavers, setting bed, sub-base) may be graphically represented and manipulated individually, and included in itemized volumetric calculations displayed on automatically generated worksheets. Further, worksheets will automatically update as drawings are modified. Anyone who has drawn bio-retention sections and performed Stormwater calculations for compliance with municipal regulations will understand what a breakthrough improvement this is. In 2018, Vectorworks Landmark introduced the capability of manipulating individual topo lines with its Reshape tool. This year, that intuitive feature was joined by a new tool with which users can model topography by delineating shapes and pushing or pulling the terrain up or down. This will make preliminary grading studies and client presentations much faster and graphically legible. Landmark staff had workstations set up in the conference Expo area where attendees could try out new tools, and describe tools they would like to see in the future. It was clear that upper management had directed all Vectorworks staff to solicit user input at every opportunity during the Summit. “What is your wish for a new or improved tool?” attendees were frequently asked. Responses were immediately written down, so clearly this was important to management and staff. In fact, an annual staff Innovation Week soon follows the Summit, during which programmers’ schedules are freed up to start building solutions to users’ wish list items shared at the Summit. This is what a learning organization looks like. It was good to see how Vectorworks users were seriously regarded as partners. 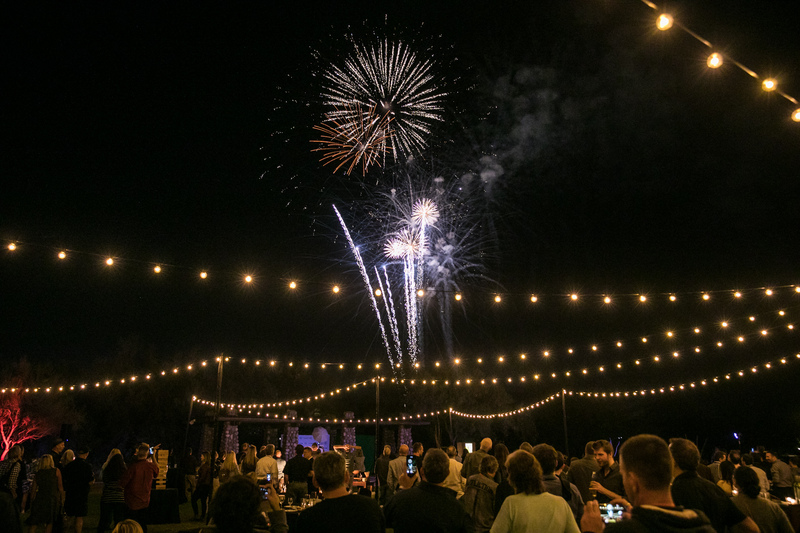 After the first full day at the Summit, Vectorworks pulled out all the stops for a lovely party under the stars with all kinds of food and drink, music and dancing, games, multiple fire pits with the makings for S’mores, a dress-up photo booth and more. A magical choreographed fireworks display capped off the evening. The location of the 2019 Vectorworks Design Summit and a call for presenters will be announced in early spring. 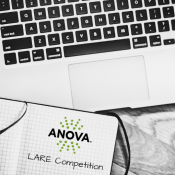 Anova Furnishings, the U.S. based contemporary outdoor furnishings manufacturer, is launching an exciting new grant program to support licensure candidates undertaking the LARE (Landscape Architecture Registration Examination). Ten awards of $1,000 each will be announced in February 2019, after an application period that kicked off at the ASLA Annual Meeting & EXPO in Philadelphia last week. The competition is a two-step process. Applicants who meet the requirements to sit for the exam must find a sponsor who is a currently licensed landscape architect to nominate them (sponsors may only nominate one candidate). Nominations must occur between October 19 and November 30, 2018. Next, applicants will write an essay of 500 words or less explaining how their experiences with the profession and the places shaped by it have demonstrated the value of licensure for landscape architects. This phase of the competition will occur between November 30, 2018 and January 4, 2019. 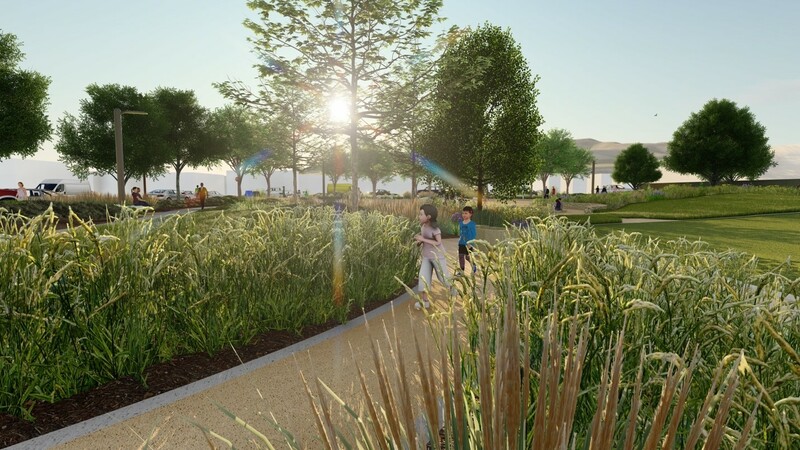 A panel of three licensed landscape architects will evaluate each nomination, and winners will be selected based on writing style, organization, content, and clarity. Winners will be notified in February, 2019 and recognized on the Anova website and on social media. The $1,000 award will be distributed in two parts – $500 upon selection, and $500 when grantees pass the exam, which must be taken in 2019. Anova CEO Eric Gilbert believes that landscape architects have wide reaching, long term impacts on our physical and social environment. When he asked his team how the company can support landscape architects, advocacy kept coming up, and licensure is a key component for advocacy. Gilbert, who fosters a company culture of learning and professional development, said that with this grant program, as well as Anova’s existing grant program now in its third year, supporting landscape architects’ attendance at the ASLA Annual Meeting & EXPO, further supports the reach of the profession by offering individual support. “I think it’s really helpful to know there’s a community behind you,” he said of emerging professionals who must carefully juggle their time and resources during the rigorous LARE process. By offering ten grants instead of just one, Anova points out that it is recognizing the inherent diversity of the profession. This is the first grant program supporting landscape architecture licensure candidates. “There’s room to grow,” says Gilbert, who welcomes the idea that other companies may follow suit. For more information on the program, look online at www.anovafurnishings.com/2019LAREgrant. 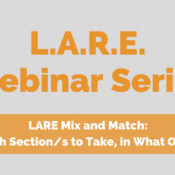 For more LARE resource on Land8, visit www.land8.com/lare. For those of us who live and work in one state and have no plans to relocate, we generally seek licensure in that state, although District of Columbia practitioners must still seek licensure in a neighboring state, until DC completes its licensure rule-making process. ASLA has advised candidates to sit for the LARE as soon as possible, register for the exam in a state with fewer work experience requirements if their experience falls short of their home state requirements, then apply for home state reciprocity after they get their initial license. Before you do this, there are some important considerations that will impact your candidacy about which you should be aware. In this case, “Time’s Up” refers to the requirement by certain state licensing boards to successfully complete all four LARE sections within a certain number of years. If you are unsuccessful, these states will throw out your passing scores and make you start the process all over again. When asked, I was told that neither CLARB nor ASLA intend to aggregate this data, saying that it is difficult to obtain from the states and that it is subject to change. They say that candidates should check themselves. If you may relocate during or after your licensure process, it’s important to know if a state’s time out policy could affect you. Sometimes our LARE process is delayed while we care for an aging parent, have children of our own, lose our jobs, or struggle with one or more exam sections. I have met one determined candidate who persevered through a number of exam failures over the years, only to have all that time, effort, and money discounted when her state’s clock ran out. A cursory search for this post revealed a partial list of such states. If you know of other examples, please email me so that I may share that information. Texas: You have five years to complete all LARE sections. Washington State: You have five years to complete all LARE sections. Massachusetts is the only American state that does not recognize CLARB’s council record system. All applications must go through that state’s licensing board. There is an eight question quiz on the Massachusetts licensure application that you must answer, having mostly to do with state laws. Iowa has an electronic portfolio document requirement, which asks for documentation of five projects in pdf form along with the state’s initial licensure application. This requirement is only visible on the actual application, which is only visible to applicants, but not the general public. These are just two anomalous examples, but there may be others if you thoroughly search any state licensing board’s website. British Columbia requires an in-person oral exam and interview. California has a supplemental exam. Florida has a laws and rules exam. Rhode Island has a state supplemental exam. Most states charge minimal amounts (under $100/year) for your actual license once you’ve fulfilled all other requirements. That’s the good news after this lengthy and costly process. However, some states have additional requirement which have associated fees. One example is Texas, which requires a criminal background check and a complete set of fingerprints. Some state annual licensing fees are higher than the norm. One example is Washington State. Florida is notorious for its rigorous continuing education requirements, but other states vary on this point. Check the states you are considering for their content and reporting requirements. Cheryl Corson, RLA, ASLA, leads online and interactive LARE prep sessions during every exam cycle through Corson Learning. 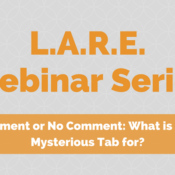 As anyone who has sat for the LARE exam knows, at the top of the screen of every question is a tab that says, “Comments.” The first time I saw this, during the exam, I was intrigued. After all, CLARB’s LARE intro videos show examples of the exam interface, which show only the screen tab called, “Exhibits” for graphic questions on Sections 3 and 4. No mention is made anywhere about a tab called “Comments,” including during the tutorial given in the exam room prior to launching the LARE. “Would CLARB offer words of encouragement in this Comments tab?”, I wondered during the first few minutes of my exam. After the adrenaline rush of the exam’s first few minutes wore off, I did click on one of the Comments tabs, only to discover a blank window in which to type. Who will read this, I wondered? Is this a good thing or not? Why has no mention been made of this before? Having ignored the Comments tab throughout most of my Section 4 exam, I became tempted to use it while trying to solve one particularly vexing drag and drop question. I had become convinced that the correct response simply did not appear on the left side of the screen among the possible choices. It was well into the four hour exam and I was getting fatigued. My internal dialog went like this: “There’s got to be a mistake with this question. There should be more of these responses on the left side of the screen than there are. I bet that CLARB reads these Comments, and I’m going to complain.” I opened the Comments tab and began to type. As soon as I began, a light went off in my head and I realized that there was nothing wrong with the question. I had just misinterpreted it. Indeed, there was only one correct drag and drop response on the left side of the screen. Had I persisted in my Comments tab rant I surely would have missed it. This experience convinced me to avoid the Comments tab thereafter. In theater, the fourth wall is an imaginary boundary separating the audience and the actors on stage. The Greek chorus in a play is one example of breaking the fourth wall. The LARE Comments tab is a dangerous vehicle because it encourages the test taker to break that fourth wall between their role as test taker, to become a commentator instead. This can break one’s concentration and undermine one’s self-confidence by introducing negative self-talk into the exam experience. It is also a time-eater. I can’t imagine a situation in which a test taker would write a comment complimenting CLARB on having written a particularly good question. Sometimes there might be reason to comment. I would limit this to extreme examples. I know some test takers a couple of years ago whose exams contained a few questions in which there were no spaces between any words on a multiple response question. This would be a good reason to comment, but keep it brief. Perhaps insert a little humor by writing, “therearenospacesbetweenanywordsonthisquestion.” I have not heard of this happening again, and I suspect that CLARB threw out those particular questions. Some people believe that if they comment during the exam, explaining to CLARB why they answered the way they did, that it may improve their score. This is unlikely. According to Jim Penrod, former CLARB deputy director, during a presentation he gave to the ASLA LARE Prep Sub-Committee when I served on it, CLARB engages a statistician who flags questions whose answers differed to a statistically significant degree from that which was expected. Then, the volunteer committee who writes the exam questions must make a determination – either stay the course on what they felt the correct response would be, accept the alternate responses in addition to the expected response, or throw the question out. No one is going through one person’s comment and making a determination about whether or not to grant that one person that one question. Keep in mind that everyone’s exams differ slightly, either in exact content, or at least in the order of the questions. Rebecca Moden of CLARB suggested that if a particular question is troubling you, wait until after the exam and email CLARB within a week. You do not need to remember the exact question number, since the question order varies. You only need to remember the content, and not precisely either. Writing CLARB cannot hurt your score and it may or may not help, based on the aggregate response of all test takers to that exam item. Keep your self-talk during the exam as positive as possible. Avoiding the Comments tab is one way to help maintain your focus and confidence during this rigorous experience. Deciding which exam sections to take in what order, alone or in combination, is the first big strategy decision you’ll make about the LARE once you’ve committed to the process. If you’re in a state or province requiring that you be vetted prior to sitting for the exam, it’s your second big step. In my case, I combined Sections 1 and 2 in one exam cycle, and Sections 3 and 4 in another. Because I had passed Sections 1 and 2 having taken them on consecutive mornings, I registered for Sections 3 and 4 the same way, one morning after the other. But recovering, changing gears, and refocusing on Section 4 in less than 24 hours proved too much, and I failed with a ‘score’ of 606. In the next exam cycle, it felt almost luxurious to prepare for Section 4 all by itself. For an extra treat, I signed up for the noon time slot instead of the 8am window. It felt so much better to have a nice breakfast, take a last look at my books, and head over to the testing center after rush hour! Now, I advise folks to sit for one exam section per exam cycle if at all possible. It’s the sanest approach given the inevitable challenges of adult life. If your employer is pressuring you to go faster, if your state has a short window in which to complete the process, or if you’re pregnant, moving across the country, or job-hunting for a position requiring a license, then it’s reasonable to double up. There are people who do the ironman or ironwoman approach by taking three or four exam sections during a single exam cycle. I’ve met a handful doing Corson Learning. Most have been successful. Note that in a typical exam cycle, all across North America, according to CLARB, there are only a handful of people approaching the LARE this way. It is the exception, not the rule. But if there’s a compelling reason or motivation, it can be done. The iron-wo/man approach requires extreme organization and focus. It’s not a goal, but it is suitable for certain personality types. You know who you are. The rest of us tortoises reach the finish line anyway, with a little less drama and flair. Passing is passing and it really doesn’t matter how you do it in the end. If you haven’t taken a standardized test in a while, it makes sense to take one section by itself first. This will help you overcome test anxiety by giving you experience with the testing center and the process as a whole, which, let’s face it, is stress producing. Recent graduates in states permitting candidates to test without prior work experience will find that Section 2, Inventory and Analysis, is the most like school and requires the least experience with construction and contracts. It is the shortest exam in time (2 hours plus exam tutorial) and in the number of questions (80). For details on what’s covered in this and other exam sections, see the CLARB Orientations Guide. In the past, I have advised candidates intent on pairing exams in a single cycle to combine Sections 1 and 2 because they are shorter and do not include the special item types present in Sections 3 and 4. That way, the logic went, you head into the longer, more difficult exam sections knowing that you are halfway to heaven. However, in 2017, CLARB adjusted the LARE content to reflect its latest periodic task analysis. My new advice is that if you are combining exam sections, consider starting with Sections 2 and 3 together, taking Section 2 early in the two-week exam cycle, followed by Section 3 later in that same two week window. Sections 2 and 3 now seem to hold hands better than before because Section 3 content seems to have changed the most as a result of the CLARB task analysis, such that it has more of a planning focus than before. To that end, one new book appearing on CLARB’s recommended reading list seems absolutely vital to Section 3, but also helpful in Section 2: Planning and Urban Design Standards (student edition). While the low production value and tiny font size is annoying, some sections of this book seems important, as I can tell from my personal copy which arrived in yesterday’s mail. Sections 1 and 4 now align because of their emphasis on contracts, bidding, construction administration, and construction details in general. Yes, Section 4 is still a bear, and you must perform grading operations, but it now seems to hold hands better with Section 1 than it did before 2017. For any LARE (Landscape Architect Registration Examination) candidate, knowing what to study given limited preparation resources is key. In 2012 the exam changed so that hand drawing was no longer used, and design, grading, and drainage became computer based. New verbal and graphic questions in various formats were developed for the first time. This was a dramatic shift in the exam’s history, and by now we’ve mostly adapted to this new format, which remains unchanged for 2017 exam cycles. Underlying the exam format is the content to be tested, which is evaluated by CLARB (Council of Landscape Architectural Registration Boards) every five to seven years through a “task analysis,” a survey sent to about 20,000 professionals, asking what type of work landscape architects regularly do. CLARB says periodic task analyses keep the exam “legally defensible and relevant,” important because state and provincial licensing boards need trust in the exam’s ability to help ensure the protection of public health, safety, and welfare. Sample test questions from 20 years ago seem very different from those of today. Evolution is good, especially since content changes come from the field, not by administrators. The most recent task analysis was completed in 2016. Out of 20,000 surveys sent, 3,488 respondents practicing in the US, Canada, and Puerto Rico completed the survey. The previous task analysis overlapped with the exam format change in 2012, but we’re told that the Recession resulted in few changes that time. Now that the economy is more active, it’s not surprising to see some content change as announced on CLARB’s website. Between November 2016 and February 2017, the CLARB website said that the number of questions for each of the four LARE sections had been reduced. For Sections 1 & 3, it said, instead of 100 questions, there would now be 85. Section 2 would go from 80 questions down to 70. Section 4 would go from 120 questions down to 105. This seemed like a nice change. In mid-February, the CLARB website’s page listing the number of questions changed so that a new question category was added, increasing the total number of questions back up to where it had been since 2012. The new question category was called, “pretest items.” See CLARB’s LARE Orientation here. Now we know how many questions are being field tested (my term) and don’t count toward your score. However, resist the assumption that any question you may be having a hard time with doesn’t count toward your score! If you downloaded the CLARB LARE Orientation during or prior to February 2017, make sure you have the most recent edition. Even though no one divides their time per question evenly, it’s helpful to know how much time is allotted per question for each section. For section 1, one and a half minutes; section 2, 1.9 minutes, section 3, 2.1 minutes, and section 4, an even two minutes. Gain confidence by setting a timer for 90 seconds and imagining answering one question in that time. It’s going to feel long. 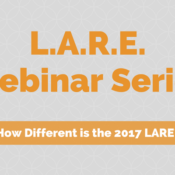 With planning, the LARE does not necessarily present time challenges. Section 1 – Project and Construction Management: Landscape maintenance is a new exam subject which now represents 10% of exam content. Some construction administration previously found on Section 4 has been moved to Section 1. Obtaining permits and cost estimates and collecting and analyzing performance metrics now appear in this section. Section 3 – Design: The new content area called, “Stakeholder Process” now represents 9% of this exam, which is new. Some items seem to have migrated from Section 4 into Section 3, such as, “Develop Historic/Cultural Restoration and Preservation Plan.” Other new content includes, “prepare preliminary quantities and cost estimates, and identify and develop performance metrics.” Note that this overlaps with Section 1 to a degree. Section 4 – Grading, Drainage and Construction Documentation: New in this section are, “develop mitigation plan, develop traffic control plan and emergency access plan.” And as we know, erosion and sediment control are important to know in this section, though it is not called out by this name in CLARB’s bulleted list. Research shows that a huge percentage of self-talk is negative, which makes finding your 25% reserve of positive self-talk very important heading into the LARE exam. Assuming you put in the prep time, your attitude going into the test center will energize all you’ve learned and sustain you during the exam. You’re traveling to the test center. If you’re anxious like me, you may have previously gone there so you know where it is and what the reception room looks like. You have eaten enough, but not too much. You’re well hydrated. You have a healthy snack and a bottle of clean water to put in your locker for a break during the exam if you need it. You’ve dressed in layers (no jacket or vest with pockets) so you’ll be comfortable in the exam room. You consciously breathe deeply and slowly. You are aware of all you’ve learned and all the good preparation you’ve made. The proctor in the reception room hands you an erasable white board, a black marker, and a working calculator, which you take with your driver’s license, from the reception area into the exam room. There are about a dozen computer work stations, wall clocks, and a glass observation booth for the proctor. The proctor shows you to your work station and turns on the computer calling up the tutorial that precedes the exam. Then you are left alone to settle in. You adjust the keyboard, mouse, and chair to suit you. A set of noise cancelling headphones is on the desk. You try them on to see if you feel they will help you focus. People already taking their exams on other topics pay no attention to you. Except for tapping keyboards the room is quiet. You breathe consciously and deeply and start the tutorial. The allotted 30 minutes for the tutorial is much longer than you need. You use that time to become facile with the exam interface and can easily navigate between the ‘skip,’ ‘flag,’ and ‘review’ functions and screens. You exit the tutorial and the first LARE question appears on the screen. You ignore it for a moment while you write any formulas or notes you wish on your white board. You feel ready. You are centered. You now read the first question, knowing you have ample time to respond to all of them plus check your work. You respond to the questions one by one, easier ones and harder ones. Point by point you build up your score until you feel you have enough points to pass. You know you don’t need a perfect score so you are unconcerned when a handful of questions seem baffling. You give every question your best shot. To maintain focus and self-confidence you ignore the “comments” tab at the top of every question. You know you can email CLARB with your critique later if you choose. You remember to rest your eyes during the exam, looking past the screen to the wall in front of you to refocus your eyes and attention periodically. You feel your feet on the floor and you straighten your back to allow oxygen to freely circulate. You remember to breathe. You’ve made your first pass through the test, taking a break if you wish. When you review your questions you only change responses you are certain of. You make good mental notes of any questions for your personal research later on. And then it’s over! You exit the exam interface when you’re confident you’re done. You raise your hand for the proctor, who turns off your computer and accompanies you back to the reception area. You walk outside into the daylight and find a quiet spot to write any mental notes you’ve made before they fade. You congratulate yourself for undertaking this challenge and treat yourself to something nice as a reward. You know that whatever the outcome, today you’ve made your best effort. During the six weeks before you learn your results, you live life completely free of the LARE! Sections 3 & 4 LARE candidates are handed a simple calculator to use during the exam because only simple math is required to pass. Determine soil pressure at the toe of a retaining wall slope in pounds/sq.ft. Must you know what these and other mathematical operations are, and when (or when not) to use them? Yes, absolutely. Still, simple math matters most in the LARE. Do you know the formulas for a circle’s circumference and area enough to never confuse them? Do you understand the basics of stationing so you add and subtract the correct two numbers? [hint: see Site Engineering by Strom et al] Can you add and subtract the correct coordinate numbers to determine locations for things? Determine a footer size when given point load and bearing capacity values? Can you convert cubic yards to square feet and vice versa? Can you slow your mind down enough to divide or multiply the correct two numbers in basic landscape grading operations? Can you slow your mind down at all? Here’s the math problem: “A bat and a ball cost $1.10 in total. The bat costs $1.00 more than the ball. How much does the ball cost?” I won’t give away the answer, but it’s not what most people think. The question requires slowing one’s mind down and thinking carefully, but not for terribly long – exactly the skills needed to navigate any good multiple choice test question. After you’ve picked your best answer, Google the problem and see if you’re right. The LARE is a points game you don’t need a perfect score to win. You don’t need a home run, but you need to get on base as often as possible. Make sure you snag all the one-pointers you can by thinking slowly and doing simple math with care. Corson Learning offers recorded videos, live Q&A sessions, and live support to LARE Section 3 & 4 candidates. Cheryl passed the new format LARE in 2013. 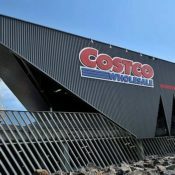 The new Section 4 is the Costco of the LARE, where grading and storm water management share the floor with construction materials and methods , and even some construction administration and contract information you thought you put to bed in Section 1. That’s a lot to study. The good news is that it’s over in 4 ½ hours and you get 120 chances to succeed. Every correct answer you need will appear on your computer screen, and you can get a fair number of questions wrong and still pass. After sitting out the last offering of the old Section E, I took the new Section 4 in December and missed by about 5 questions. I passed in April, after rethinking my testing strategy and reviewing all the non-grading topics like crazy. I believe studying in the old way for this section will not yield the best result, and I hope to help current candidates during this transitional time in the exam’s evolution. 1. Practice using new testing functions before exam begins. Play with the “skip,” “flag” and “review” functions in the testing center before your exam begins. I didn’t use these tools my first time, and used them well the second time around. “Skip” questions you want to save for later and quickly move on. “Flag” questions you answered but have serious doubts about. “Review” lets you easily navigate to skipped and flagged items, which you swat like flies after you’ve made your first complete pass. 2. Approach graphic questions as a group. Cluster most graphic questions together and approach them as a group. This was my biggest strategy change the second time around. We know that our left brain is verbal and our right brain is graphic. When doing CLARB’s sample questions, I noticed that by staying in my right brain for all of the graphic problems, I worked more efficiently and with greater ease than when I switched back and forth between verbal and graphic modes. 3. Jot down all formulas on your whiteboard ASAP. Jot down all formulas on your whiteboard as soon as the exam clock starts. Even easy formulas like circle and triangle geometry, or square feet to cubic feet conversions that you may know but confuse under testing conditions. Grading formulas, including cross slope should also be written down, even if you know them really well. 4. Diagram all grading problems first. Diagram all grading problems on your whiteboard before doing any math or selecting any multiple choice response. Note the direction of flow with arrows, high and low points, and importantly, any spot elevations that may remain the same over distances. You’ll have more certainty once you begin using your calculator if you’ve done this. 5. Set time targets for yourself before exam day. The clock on your computer screen will be counting backwards from 4:00 hours, which may not be helpful to everyone. There are wall clocks however. Here’s a schedule that I used: 120 minutes for first pass for all questions (60 seconds each); 70 minutes to revisit skipped questions; 15 minute break; 35 minutes review all questions. You may as well use all your time, you’ve paid for it. Cheryl Corson is now licensed and happy. She is in private practice in the Washington, DC area and has taught landscape design at various local universities and the U.S. Botanic Garden. She holds an MLA from the Harvard Graduate School of Design.